Question: What is European Information Technologies Certification Institute? The European Information Technologies Certification Institute (EITCI Institute) is an international non-profit organization seated in Brussels and working towards development and dissemination of high quality standards in IT competencies training and education as well as in IT systems and solutions through processes of certification and accreditation by joint effort of academic and industrial experts in the European Union and abroad. Legal form of the EITCI Institute is an “ASBL” (“Association sans but lucratif”), i.e. an association without lucrative purpose or a non-profit association, in accordance with the provisions of the Belgian Law of 27 June 1921, granting legal personality to non-profit associations and establishments of public utility as amended (La Loi de 27 juin 1921 sur les associations sans but lucratif, les associations internationals sans but lucrative et les fondations, M.B. 1 juillet 1921). EITCI Institute brings together representatives of academia and industry in relevant, specific IT fields, who cooperate towards development and dissemination of high quality IT certification frameworks in professional Information Technology competencies and technical solutions. EITCI Insititute focuses on development of methodologies and standards to support IT skills and expertise dissemination in the international society, along with dedication to improvement of quality and safety of ubiquitous IT applications, with special attention set on the areas of artificial intelligence, robotics and information-communication security. Question: What is European Information Technologies Certification Academy? EITCA Academy, the European Information Technologies Certification Academy is an IT competencies certification programme implementing European Commission's Digital Agenda for Europe upon Europe 2020 Strategy to reinforce growth of the Information Society. EITCA Academy is implemented fully on-line by the European Information Technologies Certification Institute in Brussels (EITCI Institute, certification governing body). Both learning and examination methodologies for the certification incorporate technology assisted remote form. The EITCA Academy Programme comprises both the EITCA and EITC certifications. It is available as an official framework for individuals' professional IT competencies formal attestation, acknowledged internationally and thus providing individuals with their professional IT skills recognition, regardless of nationality upon the formal documents and their electronic form issued and verifiable by the EITCI Institute in Brussels. EITCA Academy constitutes international IT competencies certification framework, which on the level of its advancement is relevant to postgraduate higher education and professional industry training. It is available in the EU and abroad exclusively within distant learning and distant examination form, therefore enabling both the EU and non-EU citizens access to formal confirmation of their professional IT competencies and skills from Brussels with the attestation standard based on the EC DAE implementing EU certification framework without the neccessity of a physical presence and with only a fraction of costs related to stationary EU education and training, supported by the ERDF fund, which cofinanced development of the EITCA Academy. More details on the programme can be found on the EITCA Academy website. Question: What are the advantages coming from obtaining EITCI Certifications? 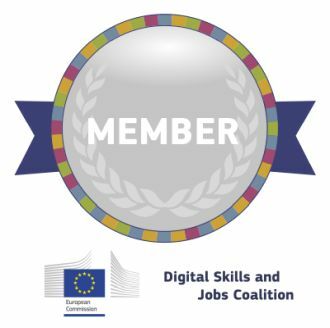 The European Union recognized EITCA/EITC IT competencies quality standard might constitute an interesting complementary educational offering for both EU and non-EU citizens (public educational sector students, individual and business customers of private education centers, workers, and other society groups). Since all certifications with relevant supplements are issued in Brussels, European Union, they prove valuable, internationally recognized formal confirmation of individually possessed IT competencies & skills, enhancing professional profile of a Certificate holder and proving his or her international awareness (while still being accessible with little effort by means of distant learning and distant examination via Internet platforms in local or English languages). Certification issued in Brussels are sent to the respective holders directly or forwarded by EITCI partners. Additionally all issued Certifications are electronically processed and stored in the EITCI Certification Database, thus being verifiable on-line with detailed data via Internet on the EITCI webpages. Standard can be considered as an additional confirmation (of an international rank) of qualifications in the area where the candidate is or aims to be educated by domestic standards. In the case a candidate mastered a particular specialization, with little effort can master a small differences range applying to a particular EITCI certification standard and proceed with examination procedure (a small additional work effort and low cost - covering only the scope of the procedure itself, implemented fully remotely over the Internet). Having an international certification in an adequate domain of applied information technologies enhances individuals competitiveness on their local labor markets (international certificate holder stands out from other candidates), and provides formal documentation to facilitate finding a job in European corporations operating in the EU and outside. Question: What are the fees associated with obtaining EITCI Certifications? In case of the EITCA Academy the certification fees can be reduced by 80% due to the European Regional Development Fund support of the programme. Upon the Digital Skills and Jobs Coalition EITCI Institute offers also a global low socio-economic status (low SES) 95% cofunding of EITCA Academy. According to EITCI Institute’s mission and EU guidelines all the EITCI Certification Programmes are also freely (noncommercially) available to all disabled persons as well as to pre-tertiary schools students. The European Information Technologies Certification Institute is dedicated to supporting people with disabilities, believing that IT skills are one of most important means in overcoming different physical bariers related to disabilities. Therefore EITCI Institute provides IT certification services free of charges to all disabled individuals. Verification of the disability confirming documents is performed by the administration of the EITCI Institute and EITCA Academy. Question: What does the European stands for in the EITCI Certification Programmes? The European reference in the name stands for the fact that EITCI Certification Programmes are recognized in the European Union (EITC/EITCA certification standard is developed according to the European quality frameworks described by the European Commission in the Digital Agenda for Europe element of the Europe 2020 flagship development strategy - it puts a great stress to enhancement of information society development and identifies as one of the most important measures the quality frameworks for ICT competencies education). Also the certification standard is European in the sense that the curriculums are developed by programme committees including academics and industrial experts mostly from across the European Union, encompassing academics from the leading EU higher education institutions and universities, as well as experts from industrial IT related companies. The certification thus is independent from specific IT vendors in contrast to vendor-centric IT certifications (like e.g. Cisco, Microsoft, Adobe, Google and other vendor certification standards), which assures that the goal of certification programme is to address quality in relevant areas of applied IT competencies and skills rather than to promote specific technology solutions according to vendor's interests (e.g. within the Cisco Academy, Cisco is more concerned with promotion of their products and solutions rather than relevant competencies in the field of networking and IT security, thus the certification becomes partially a tool for IT vendors market competition). The EITCI Certification Programmes are independent from IT vendor interests. Question: What are the standard cooperation options with the EITCI Institute? Costs of providing the possibility of verification of certificates and their supplements on the Internet (including the results of records of individual elements of the certification program) and storage of sensitive data in a properly secured database. License fees are starting from 50% of the prices on commercial offerings of the EITCI Certification Programs by EITCI Accredited Licensees (partnering educational institutions or companies). Another model of cooperation is offered by the EITCI Institute to IT experts and educators in the EU and abroad (both individual and legal persons). All of the EITCI Institute's certification curriculums are prepared in cooperation with academic and industrial experts or education provides in relevant areas to their specializations. EITCI Institute mainly cooperates with technical staff of international IT companies and with acknowledged academics or educators. Basing on their expertise and education experience, EITCI Institute is able to offer up to date EITC and EITCA curriculums in relevant domains of IT. Cooperating IT experts authoring EITC certification curriculums license the educational content of their authorship to EITCI Institute for a financial commission on each issued certification that is programmed accordingly to the curriculum. Some of the certification programmes are jointly coauthored by groups of IT experts and educators. The EITCI Institute's certification curriculums are offered by the EITCI Institute only after accreditation upon the EITCI Certification Commission panel evaluation and acceptance. In case of such cooperation the copyrights to the didactic content of the relevant EITC certification curriculum remain with the authors, who can decide to terminate the license agreement at any time in which case the relevant EITC certification is withdrawn from offering (while the current participants remain with access and the issued certificates remain valid), the didactic content is not required to be exclusive for EITC certification and can be published/commercialized elsewhere at sole discretion of the author (the main offering is the EITC certification itself only adhering to the certain curriculum associated with a didactic content, which is not neccessary, also participants can take certification exams according to the curriculum without using the didactic content at all, e.g. by having this knowledge themselves already or by learning from other sources). More details can be consulted at Cooperation section. Question: Are EITC / EITCA certificates endorsed and recognized on leading professional social networks? Addressing increasing numbers of inquiries regarding EITCA Academy and EITC certificates official acknowledgement on LinkedIn professional social network, EITCA Academy is pleased to announce that alumnis and certificate holders are now able to add their EITC / EITCA certificates in officially acknowledged way with the logo, formal credentials and proof of validity for an improved professional recognition. EITCI Institute had inquired for qualification audit with LinkedIn network in order to establish official recognition of the EITC / EITCA certification standards and of the EITCA Academy as an accredited academic institution dedicated to dissemination and attesting of IT competencies internationally in the EU and abroad. Accordingly to a positive outcome of the qualification audit EITCA Academy along with EITC / EITCA certifications is now officially endorsed and recognized by the LinkedIn professional networking platform. This means that all interested EITCA Academy alumnis and EITC / EITCA certification holders may now add owned certifications including validation links (individually obtained at https://eitci.org/validate at the bottom of the validation webpage accessed after providing relevant certificate data) containing individual certificates' secured ID information and the LinkedIn system will automatically recognize those certifications as linked with EITCA Academy official credentials and logo. EITCA Academy (the European Information Technologies Certification Academy, https://eitca.org) is an implementation of the European Commission's Digital Agenda for Europe upon the Europe 2020 Strategy in critical for information society IT competencies certification and dissemination. Its educational offering is available for individuals worldwide fully on-line from Brussels under governance of the EITCI Institute (the European Information Technologies Certification Institute, https://eitci.org), an accreditation and certification body upon the EITCA and EITC EU certification frameworks. EITCA Academy since 2008 issues official EU EITCA Certificates referenced to as equivalent with level 6 of EQF (the European Qualification Framework). Academic education in the EITCA Academy is also regulated under the ECTS (European Credit Transfer and Accumulation System) for European higher education institutions. EITCA Academy has bilateral agreements with leading EU universities on mutual recognition of relevant educational curriculums, enabling students from those universities to undertake parts of their academic conduct in EITCA Academy (cf. https://eitca.org/ECTS). EITCA Academy also participates in the Erasmus+ European academic students exchange programme. Currently EITCA Academy has hundreds of thousands of alumnis with majority from the EU member states and the number of issued EITC / EITCA Certificates exceeded 1 million in 2018 with Certificates holders residing in 40+ countries worldwide. More of the Frequently Asked Questions answered are to be found on the EITCA Academy - How It Works page.